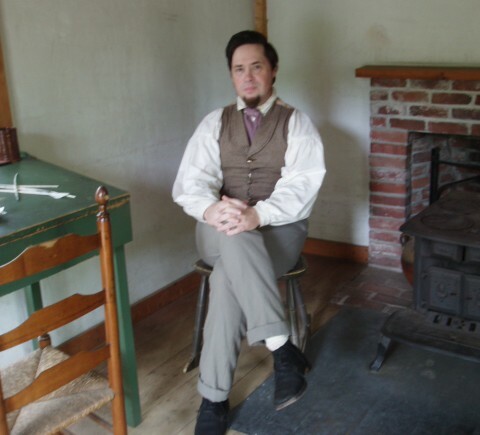 12:00pm-1:30pm Join Henry David Thoreau as portrayed by Richard Smith, for a visit inside the replica of the house he built for himself at Walden Pond. 1:30pm 3:00pm Join Henry for a walk in the historic Walden Woods. Hot chocolate will be served at park headquarters after the walk. Please dress for the weather. This is a free program but there is a $5 parking fee. No dogs are permitted unless they are working guides. Park programs are For more information, call park staff at (978) 369 3254. Reasonable accommodations upon request. All children must be accompanied by an adult. This entry was posted on February 2, 2013 at 3:25 pm and is filed under News. You can follow any responses to this entry through the RSS 2.0 feed. Both comments and pings are currently closed.